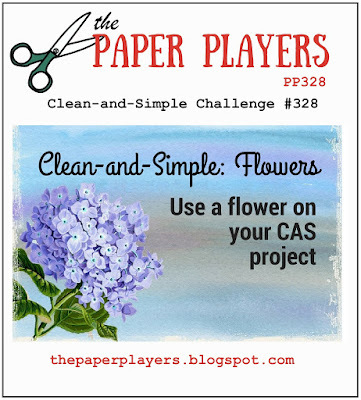 The challenge from the Paper Players is to use a flower on your CAS (Clean and Simple) project. 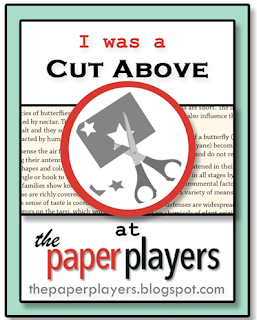 I decided to combine this challenge with the Paper Craft Crew Card Sketch. 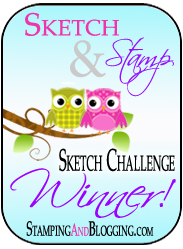 I chose to use the That’s The Tag stamp set from Stampin’ Up! and the matching thinlits. I used the Petal Burst TIEF for the white background panel. I used the Timeless Tags Thinlits to cut out the Soft Sky backing. 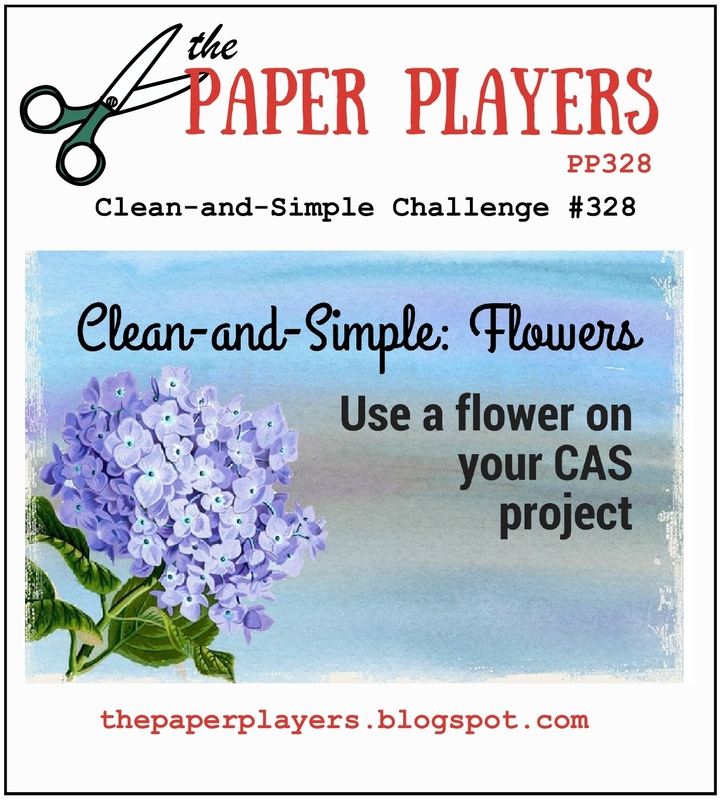 I used the flower thinlit three times on White, Daffodil Delight and Pear Pizzazz cardstock. Then I put the puzzle together adhering the pieces with Tombow Multipurpose Glue. I added Clear Wink of Stella to the Daffodil Delight center. Very easy and packs a big punch. 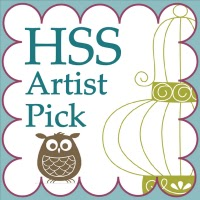 After I stamped the sentiment on Soft Sky, I used the Classic Label Punch to cut it out. I topped it off with one of the Falling In Love Embellishments. I received these from Sharon Skelton by participating in her Facebook group and sharing my projects. So, Sharon, Thank you very much!!! 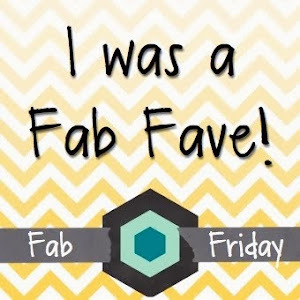 Have a great day and thank you for taking the time to stop by today! I also used the butterfly thinlit for the inside of the card. I love how the Soft Sky CS peeks through.